The James Bond camp has been pretty quiet since the sudden departure of Danny Boyle – we have creative differences to thank for that one, it seems – but things still appear to be moving along, as the Powers That Be over at EON surprised everyone by hiring Cary Fukunaga (True Detective) the other week to take over the director’s chair on Bond 25. Still no word on any plot details or who else may be starring alongside Daniel Craig, but chatter has picked up recently about who could be stepping into the role next, once Craig hangs up his Walther PPK for good. We’ll give you a clue: it has something to do with the Man of Steel. Yes, former Superman actor Henry Cavill has come up a few times now in conversations regarding the next James Bond and we’ve heard – from unverified sources, mind you – that producers Barbara Broccoli and Michael G. Wilson have their eye on him. But how would the former Big Blue Boy Scout look as 007? Well, BossLogic is here to provide an answer to that question, offering up the striking photo below to give us an idea. Not bad, eh? 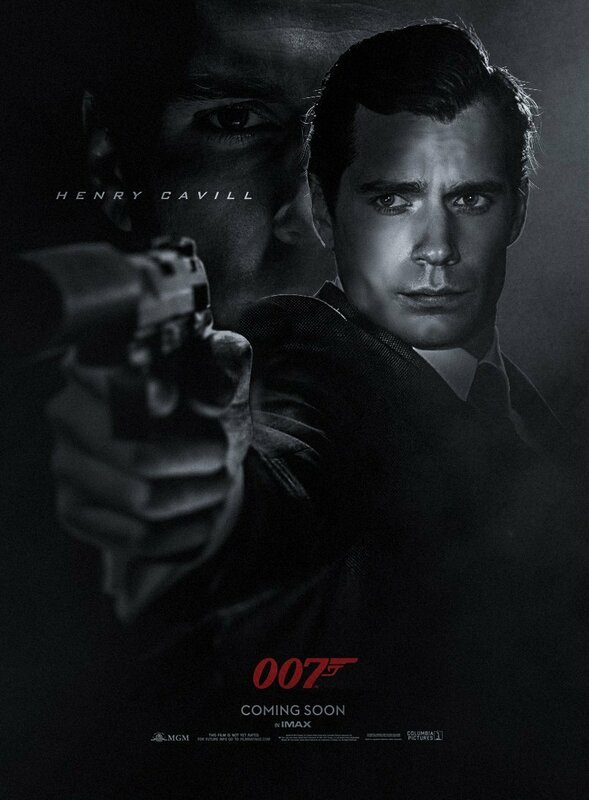 Cavill could certainly pass for the super spy, as he’s got the looks and talent to match. Whether he’ll get the chance to tackle the role though remains to be seen, as for now, all eyes are firmly trained on Bond 25. From what we understand, the pic’s been sent back to the drawing board, given Danny Boyle’s exit reportedly came down to a disagreement with Craig over the Russian villain. But the current James Bond star stood firm, meaning Boyle and John Hodge’s screenplay has been scrapped. So, it seems the next port of call will be to settle on a script that pleases everyone, and only then will Bond 25 be able to edge into development. One thing’s for sure: that November 2019 due date is gone now, which will certainly open up some breathing space for Diana Prince.